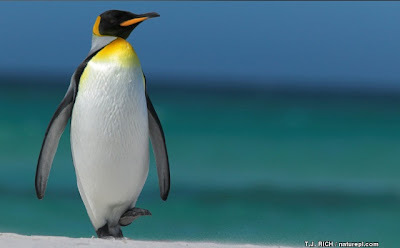 Like all penguins, they live in the southern hemisphere. Contrary to many other penguins, the King penguin runs with its feet as opposed to hopping while on land. Their sea dives may last 15 minutes or more. 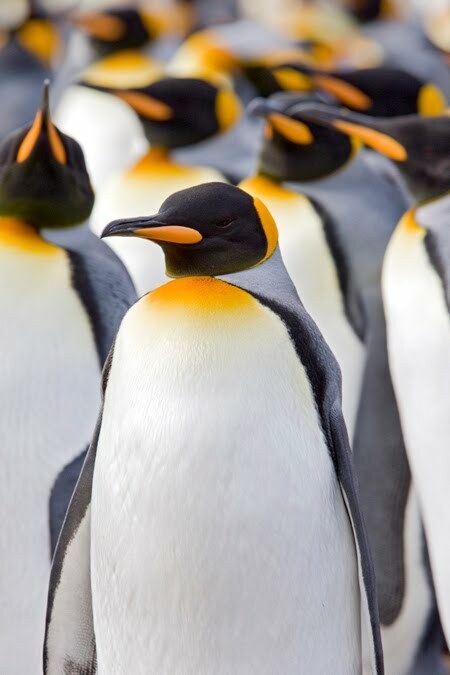 Their diet includes small fish and squid, krill, and plankton. The key predators of king penguins are the Leopard seals and killer whales. 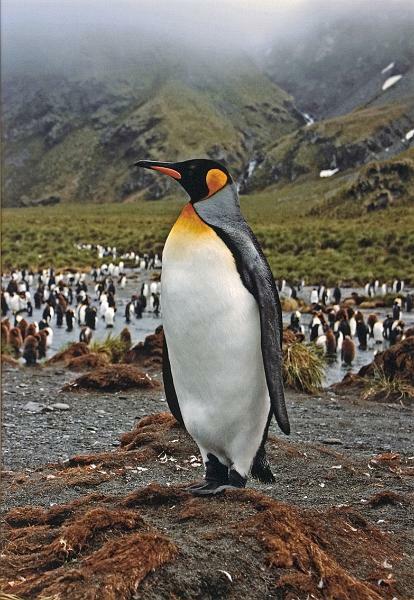 King penguins do not build nests, instead they tuck their single egg under their bellies while resting it on their feet. 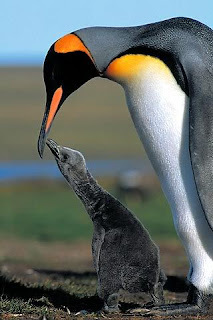 King penguins are extraordinary parents. While one parent guarding the chick, the other makes a trip of up to 400km (250 miles) in search of food. Because of the quickly melting Antarctica due to global warming, scientists fear that they might get wiped out from the surface of the Earth soon.